Chocolate pudding in a mug | edible. Made a mudcake. It was amazing. I really need to stop adding things into edible (the book) or it will never be finished. Seriously. So I’m just gonna leave this here. It hasn’t been re-tested, just made it up the other day. Step One. Pour into 3 small mugs, or 2 big mugs. Step Two. Microwave seperately, 3-4 minutes. Step Three. Melt sugar-free choc with a small amount of almond milk. 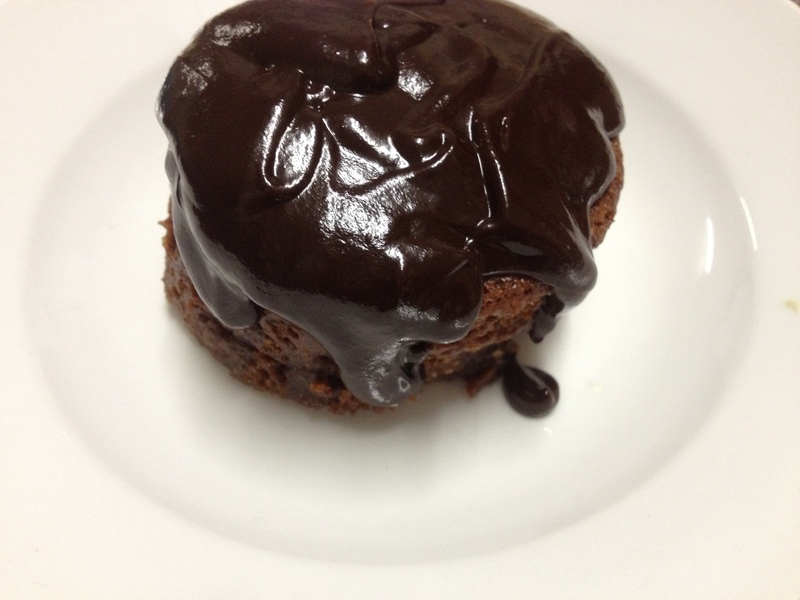 Serve in mug or up-ended on a plate, drizzled over with chocolate. Chocolate is best melted in a bowl sitting in boiling water, to prevent burning.